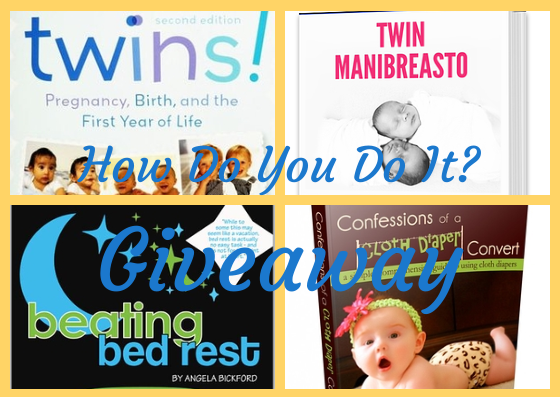 Giveaway: Books for Expectant and New Parents of Multiples | How Do You Do It? It’s time for our third giveaway of the week! You can enter by leaving us a comment on post from this week. Make sure you click into the Rafflecopter widget so that your entry is counted! This package of books is for new or expecting parents of multiples. If your kids are older, this could be a wonderful gift for the MoM-to-be in your life! You could win a copy of Twins! 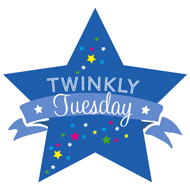 Pregnancy, Birth and the First Year of Life and ebooks Beating Bed Rest (by our own Angela! ), Twin Manibreasto: A Success Story of Milk and Multiples (by Mercedes!) and Confessions of a Cloth Diaper Convert: A Simple, Comprehensive Guide to Using Cloth Diapers . Don’t forget that our first two giveaways are still open! 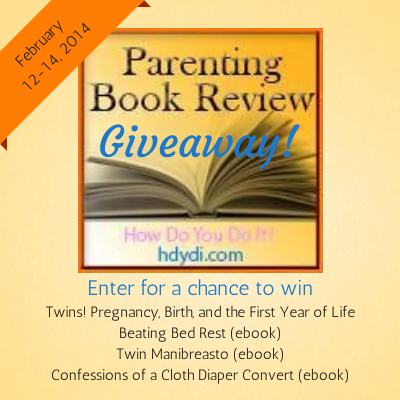 Enter to win nutrition and fitness books and twin parenting books. How to Afford Twins Giveaway!! I’m expecting twins next month and could use all the tips and advice that is being offered in these books! Pingback: We Have Our First Winner! - How Do You Do It? ah this book can be my hero..